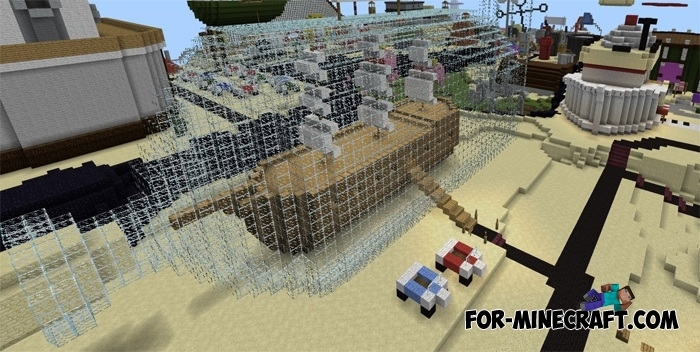 Maybe you like Bikini Bottom ported to Minecraft PE? Just take a look at the screenshots, there are so many elements in common with the real animated series. Goes without saying, that you'll find SpongeBob's pineapple, good neighbors houses and houses of the main characters. This is the best map for MCPE which almost completely takes you into the same city. Everything is built in such a way as to comply with the size and color. 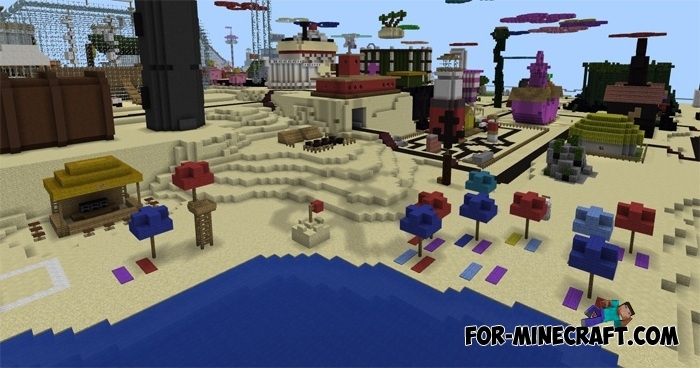 This is not the first part of Bikini Bottom maps and so some buildings were added from the last series. 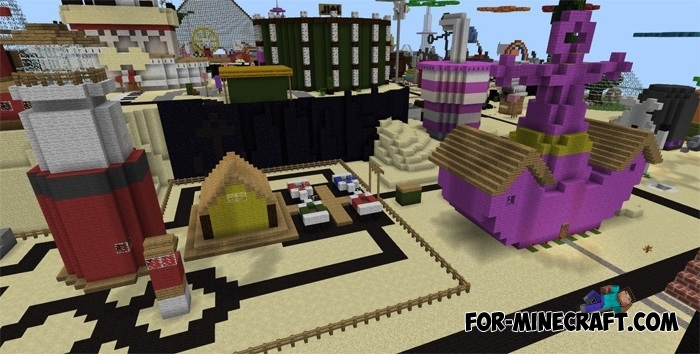 Bikini Bottom City map [MCPE 0.14.0]Explore Conch street and visit the homes of the main characters. 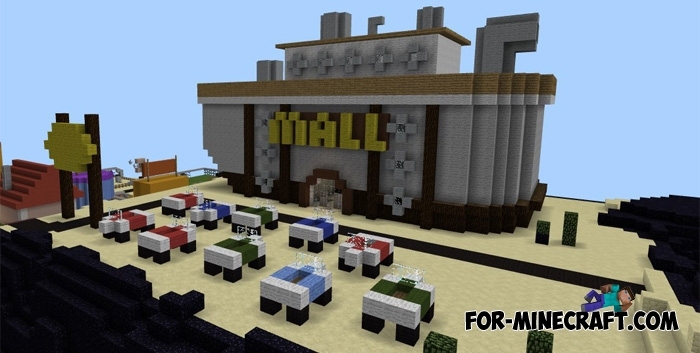 Visit the Krusty Krab restaurant or stroll through the shopping malls of Bikini Bottom.